The purpose of these awards is to acknowledge outstanding performance or standards of service within Haslemere and the surrounding villages and to applaud and embrace the thriving Haslemere sporting community. Nominations can be made by any bona fide individual, club or organisation affiliated to Sport Haslemere and applications are welcome for more than one of the categories. Full details on how to apply are to be found on the enclosed nomination form. The qualification period for all categories, other than Special services to Sport, covers one full year from 1st September 2018 until 31st August 2019. The deadline for applications will be Friday 6th September 2019. 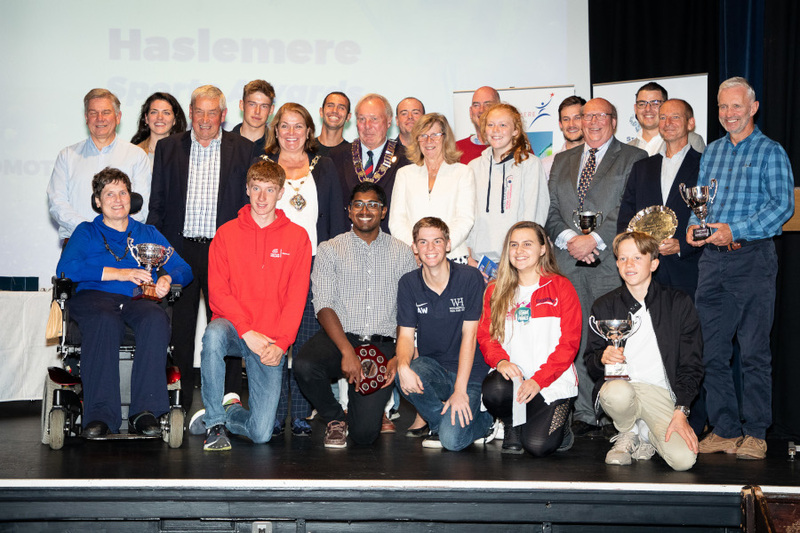 An adjudicating panel will assess the nominations and the awards will be presented at the Sport Haslemere Awards on Wednesday 9th October 2019. Award winners will receive an appropriate trophy (to hold for one year) as well as a perpetual memento. A photographer will be on hand to take photographs which will appear in the local papers. Winners of each of the categories will have the opportunity of being put forward for the Active Surrey Sports Awards 2019. So, is there that special person in your club or school? Is there someone you totally rely on? Is there someone you could not do without? Is there someone who has performed out of their skin? If the answer to any of the above is yes, then don’t miss the opportunity of giving them a pat on the back, a thank you, a minute in the spotlight – fill in the form now. Create a Star is an award scheme to assist youngsters who have international potential in their chosen sport. The scheme provides an annual bursary of £500 each. Ten bursaries are available each year and applicants must either live in the 01428 telephone area, attend a school in the same area or be a member of a club in that area. Applications must be received by 31st July and forms are available from Chris Grimes at chris.grimes@btinternet.com or by calling him on 01428 607176. Applications are considered by an independent panel and £500 bursaries will be awarded at the Sports Awards evening on Wednesday 9th Octoberber 2019. 2018 BURSARY AWARDS WINNERS – Someone in your club or school could be in the 2019 list and be £500 richer! Cerys McIntosh aged 16 a trampoline gymnast with Edgbarrow Trampoline Club and current league 3 national champion. George Houghton 20 a tennis player currently at Loughborough University and representing GB in University tennis tournaments. Luke van Outsthoorn – Running, swimming. British Modern Biathlon. Johnny Thompson – Sailing. Optimist class. Frensham & Royal Lymington SC. Rebecca Swift – Kayak sprinting. Jake Thompson – Sailing. Optimist and cadet class. Frensham SC. George Houghton – Hampshire tennis. Alistair Wheble – Cricket. Grayshot CC and Hampshire. Ross Thompson – Sailing. 420 class. Team GB for the world championships. Jodie Burrage – Tennis. GB international.